Aiming to capitalise on the busy spring market and with plans to double its turnover this year, Building Supplies Online has launched two new categories covering paving, garden and outdoor products. The offer is aimed at a broad range of customers, from professional landscapers and commercial gardening contractors, to end users. In line with Building Supplies Online’s policy of offering “premium quality products at trade prices”, the online trader has partnered with Marshalls and Tarmac Building Products to supply a comprehensive range of paving and decorative aggregates available in bulk bags. 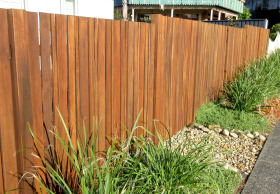 These are complemented by a broad range of fencing, tools and maintenance materials to complete the landscaping offer. Its offer also includes easy care items, such as composite decking and artificial grass. Building Supplies Online has collaborated with Forest Garden to supply an extensive range of decorative fencing, garden structures, furniture and summerhouses. For committed gardeners, the collection includes greenhouses, raised beds and cold frames. This launch is part of a broader initiative for 2019, which will see a series of new categories introduced across the year and the expansion of existing ones. With a target to double revenues in 2019, Building Supplies Online is also undertaking a complete review of all existing categories to ensure that each is optimised to meet its trade customers’ requirements, in terms of choice and cost competiveness.